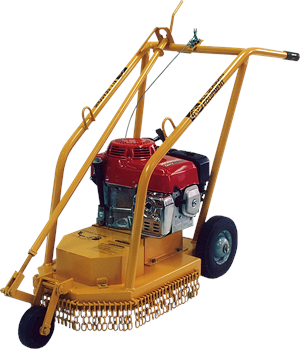 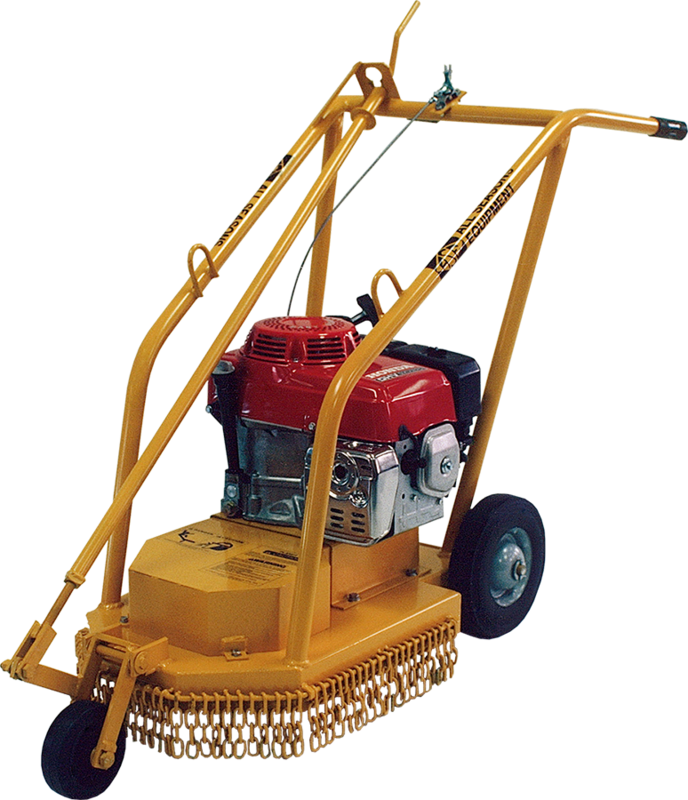 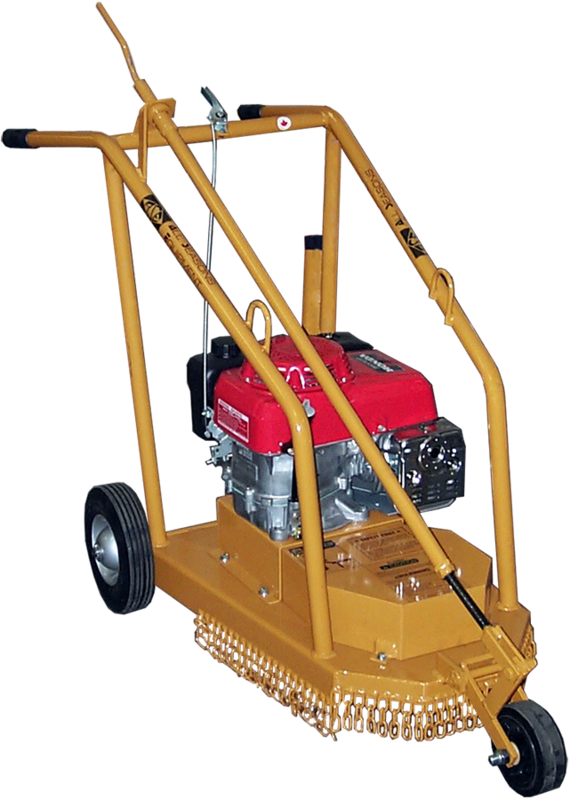 This heavy duty machine is powered by a 11 HP vertical shaft Honda engine. 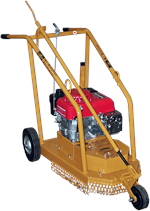 The unit is designed for minimum vibration, ensuring a clean finish. Planing depth is easily adjusted by means of a screw type handle. 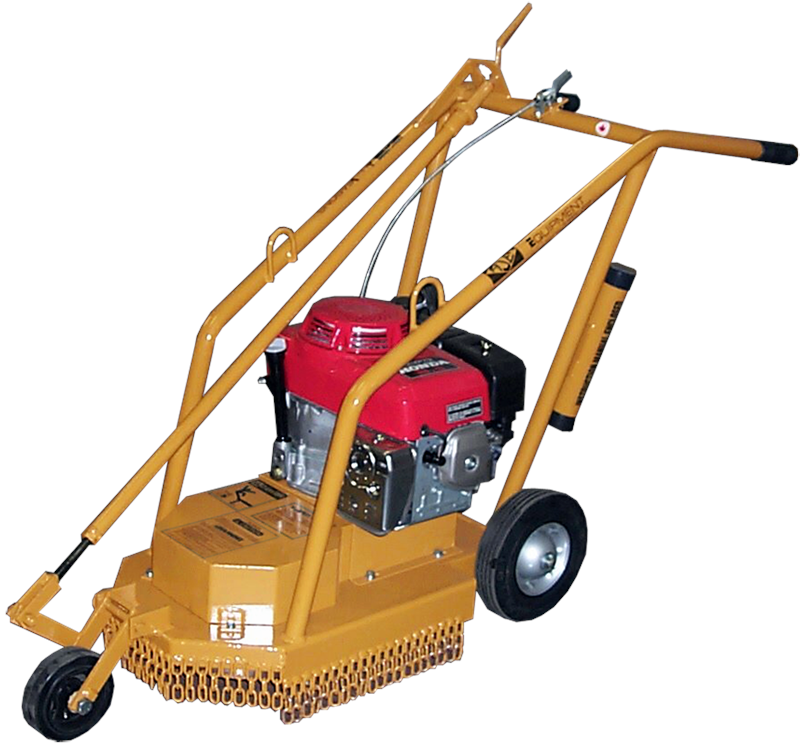 It will scrape a 14" path and get close to walls, slopes, and roof edges with its 4 carbide tipped teeth. 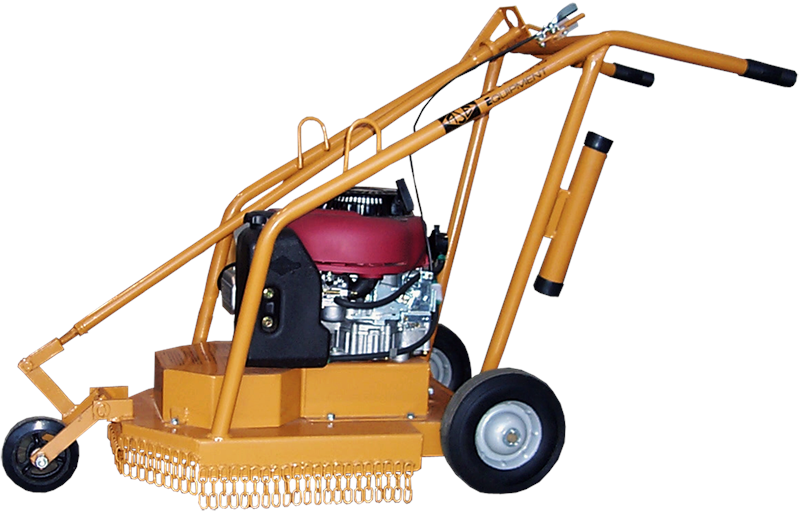 60" x 24" x 42"